One of the best weekends I have had in a long time. That is how I would describe my jaunt up the Catalan coast to the beautiful Platja d’Aro. It was a girly weekend, and all four of us had our own reasons for deserving a break and needing to get away from it all. 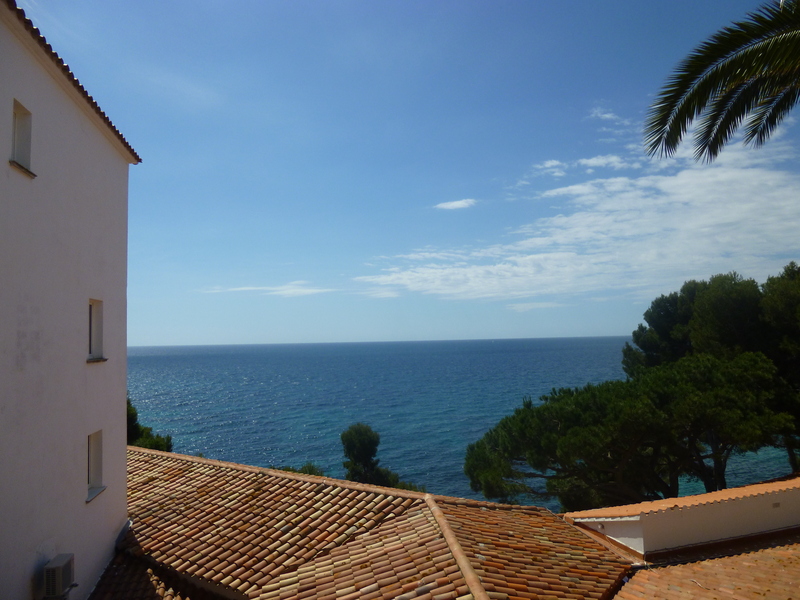 It was the middle of May and the weather was starting to warm up, and after some research on booking.com to find a hotel with a spa, an outdoor pool and a beach, we settled on the Silken Park Hotel Sant Jordi in Platja D’Aro. Bus tickets were 15.95 euros each way from Barcelona to the centre of Platja D’Aro, so we booked in advance online, and the journey of 1 hour and 40 minutes passed by quickly as we chattered away, excited about what the weekend would bring. We booked 2 twin rooms at the hotel, both with a balcony and a sea view, and the receptionist allocated us rooms next door to each other which was a nice touch. Although this could have been more for the benefit of the rest of the hotel guests, given our screams of delight as we opened the room curtains and saw the view for the first time! Our poor neighbour must have wondered what the hell was going on as we all piled out onto the balcony to take pictures, squealing as we went! 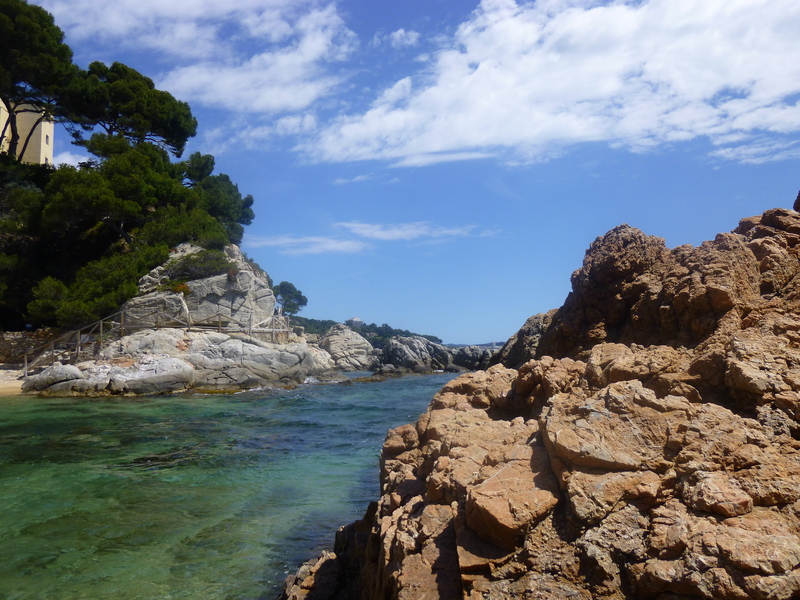 We swiftly got our bikinis on and made our way down to the beach, which was the most stunning cove I have ever seen. Essentially a private beach, with access only from a small coastal path at either end, or via the hotel itself, if was a spectacular combination of sand and rocky outcrops, sheltered from the breeze and tucked away from the main beach strip of the town. We couldn’t believe our luck! We cracked open the cava and toasted our good fortune, all the while admiring the view and gushing about how incredible everything was! After a day roasting on the beach we headed back up to the hotel for our spa sessions. We had an hour in the spa circuit first, including sauna, steam room, hot and cold showers, and huge Jacuzzi. Pure heaven. Then we each got called for our massages; personally I went for a 30 minute anti stress massage, followed by a foot massage, and I’m sure I drifted off on the table, basking in the glory of my wonderful choice. Feeling fully relaxed and revived we got ready for dinner, donned our finest attire and glammed up as only us girls know how. Tottering down to the restaurant, I have to say we were disappointed by dinner – personally mine was quite nice but the others chose different dishes and weren’t impressed. I won’t dwell on this as it was only a small part of the weekend, but it we would probably try venturing into the town to eat next time. After dinner we went back up to our rooms, had a glass of wine on the terrace then went to bed, exhausted and satisfied after our day’s pursuits. The next morning we rose to a tasty breakfast, and spent the day exploring the nearby coves, chilling on the beach and simply enjoying being in this beautiful place. At the end of the day we returned to Barcelona on the bus, said our goodbyes and found our way home, back to reality, back to work the following day, and unfortunately back to rain! 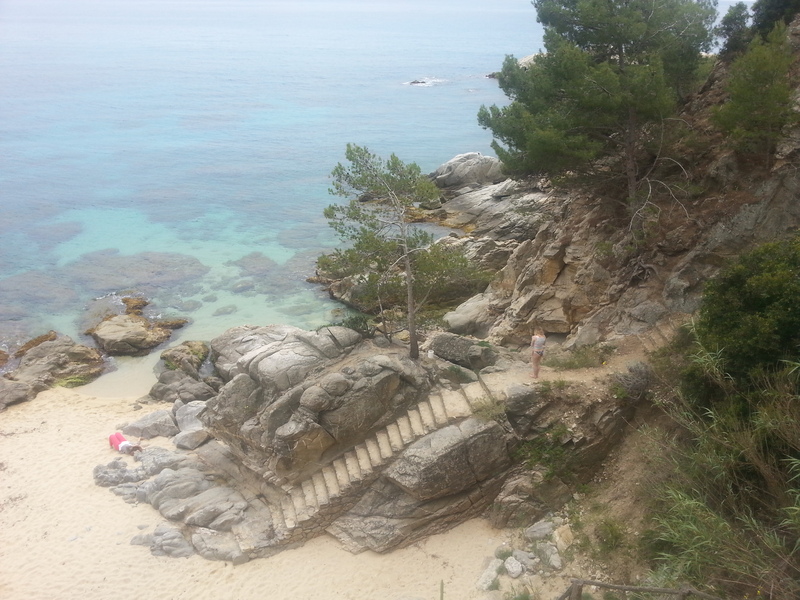 Overall a fantastic trip, I wouldn’t hesitate to recommend the hotel and Platja d’Aro as a must see on the Catalan Coast, just make sure you explore the rocky coves and not just stick to the flat beach and tourist strip, it is well worth it! 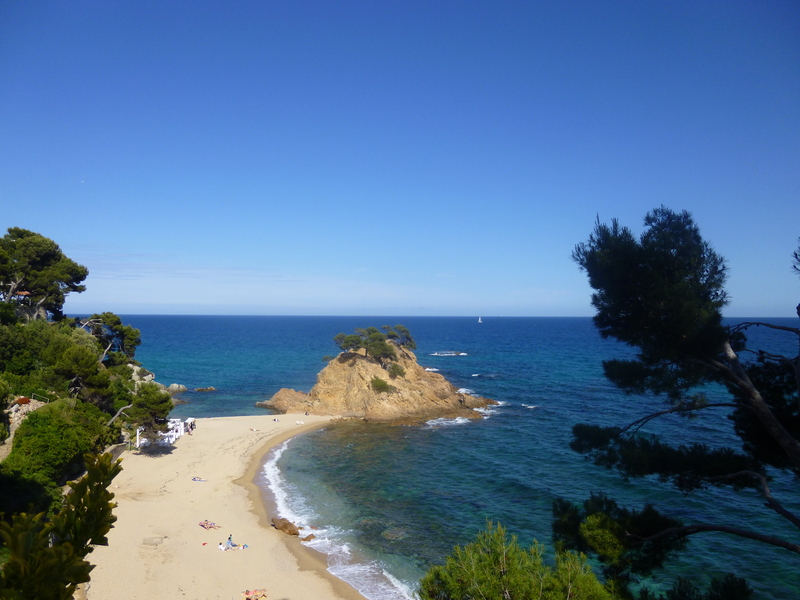 The Costa Brava is really lovely. The beaches are a “real dream”. Thanks for sharing!